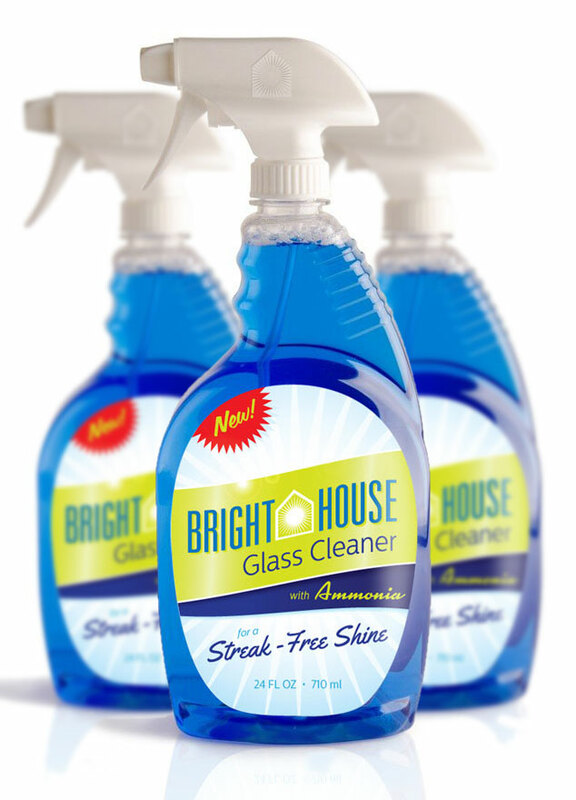 Visual Lure recently completed the following label/package design for Bright House Glass Cleaner. Bright House is a manufacturer of household cleaning products and is located in the St. Louis Metro East in Columbia, Illinois. Visual Lure has also designed packaging for other Bright House products including their dishwashing soap. Click here to view that design project. We feel that the new packaging looks “fresh and clean” which are the characteristics you want a glass cleaner to have. We were able to achieve this look by using a subtle “shiny/gleaming” background, a bright green and blue color palette along with clean and modern typography. The fire engine red “new burst” will also help the label jump off the shelf and attract eye-balls which is what good package design does. Need help with a package design project? Give us a call or shoot us an email, we would love to provide you with a FREE quote. 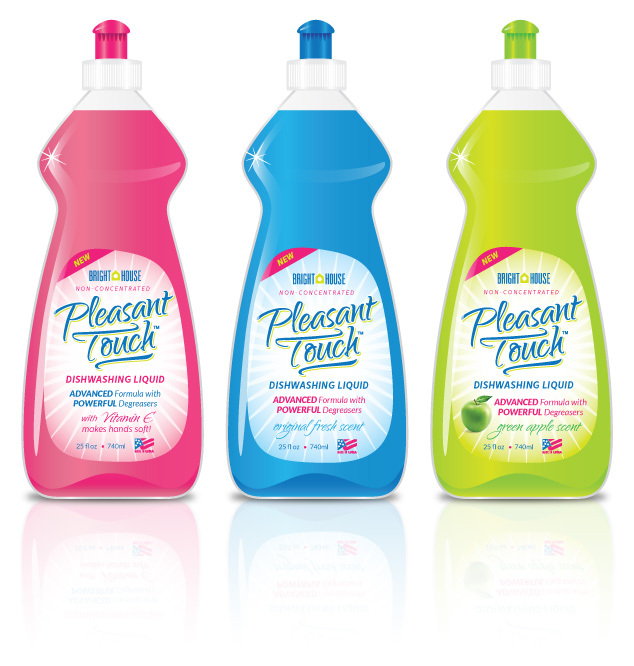 A St. Louis metro east manufacturer recently contracted Visual Lure to design a logo and packaging label for a new dish soap they are currently developing called Pleasant Touch. There will be three different products at initial launch: original fresh scent, green apple scent, and one with Vitamin E (to keep customer’s hands soft). Below is our proposed design for the new bottles. We are currently waiting for feedback and will share any updates related to this project. Check out our graphic design portfolio, click the following link to learn more about our graphic design services, or contact us today if you are in need of professionally designed packaging. 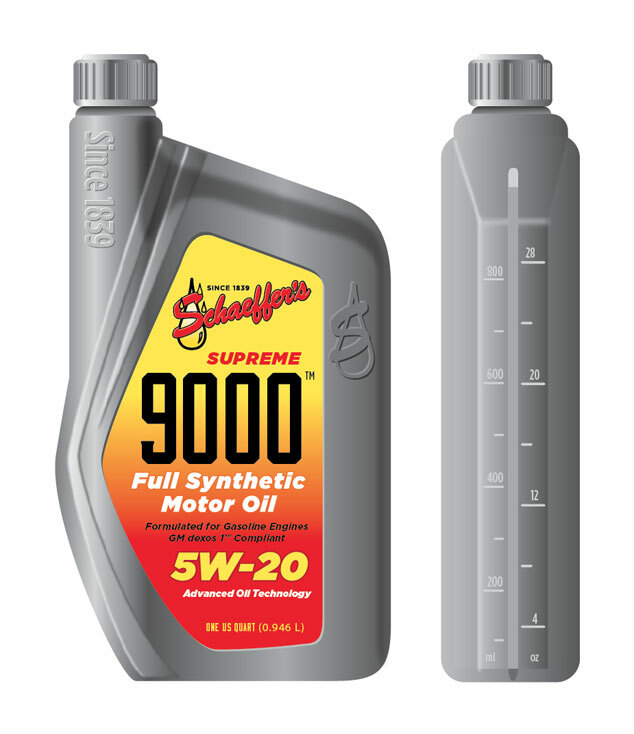 Visual Lure was recently contracted by a St. Louis metro east manufacturing company to design the bottle shape and label options for one of their prospective clients, Shaeffer’s Motor Oil. The project requirements were as follows: 1. to use a checkered flag, the client’s logo and the phrase “good people great products” embossed somewhere on the bottle, 2. use the colors yellow and red, and 3. to make sure the spout was off center. Below are the initial three packaging design options we provided. Check back soon to see what direction they decide to go, and if you are looking for professionally designed packaging for your products, call or email us today. We would love to help you have your product stand out amongst its competition. UPDATE: After review, the client decided to change the bottle color and shape. Below is the latest bottle design under review. We can not stress enough the importance of quality packaging design. Having a quality product DOES NOT MATTER if the packaging doesn’t catch consumer’s eyes in a sea of its competition. If you are looking for professional packaging design, whether you’re in the St. Louis, MO area or anywhere else in the country, contact Visual Lure for a FREE quote today.